Former World Championship competitor Beatrisa Liang announced today that she has retired from competitive skating after 12 consecutive appearances at the U.S. Championships. 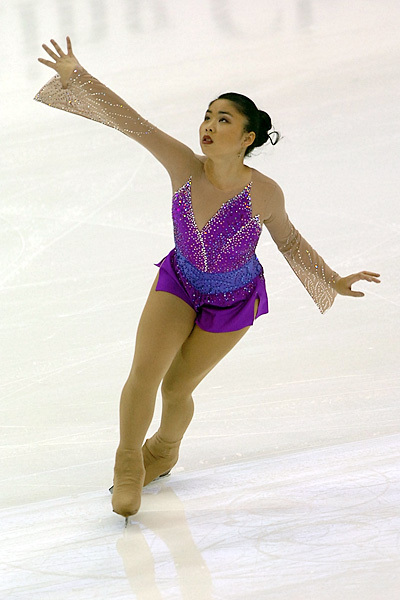 After winning the novice bronze in 1999 and placing sixth in as a junior the following year, Liang skated in the senior ladies event, winning a career best pewter medal in 2007. Liang, who trained with Ken Congemi and Frank Carroll during her career, won the bronze medal at the 2006 Four Continents Figure Skating Championships and the gold at the 2006 Nebelhorn Trophy. She placed 10th at the 2008 World Championships after earning a spot on the team with a fifth place showing at the national championships. In 2002 and 2003, she competed at the World Junior Championships, placing fourth and sixth, respectively. Following her fourth place finish at the 2002 Junior Grand Prix Final, which came on the heels of two silver medals, Liang made her senior Grand Prix debut at 2003 Trophee Lalique, finishing fourth. Other Grand Prix results include fifth at 2003 Cup of Russia; fourth at 2005 Skate America; fifth at 2006 Cup of China; fourth at 2006 NHK Trophy; sixth at 2007 Cup of China; eighth at 2007 Cup of Russia; sixth at 2008 Skate Canada; fifth at 2008 Trophee Eric Bompard; and 10th at 2009 Cup of China. A student at California State University in Northridge, Calif., Liang is also an accomplished piano player who has won numerous awards, including a bronze medal from the Southern California Junior Bach Festival in 2002. She teaches piano lessons part time and volunteers at church as a Sunday school teacher.